Learn Spanish in Trinidad with our sister company, StudyTeam. Since 2002 we have offered Spanish language courses in Santiago de Cuba. All teachers are university graduates and have been well trained in language teaching to foreigners. Classes are held either at the teacher's home, in the house of the host family or (in some cases with mini group language course) in one of the cultural centres. The average age of our students is 30 years and they mainly come from the Netherlands, Germany, Switzerland, Denmark, Sweden, Austria and Great Britain. Occasionally students from France, Italy, Japan, Canada and other countries also come to learn Spanish in Trinidad. This programme in Cuba can only be paid for in euro, so please choose prices in euro for your quotation and booking. Because of regulations, this programme cannot be booked by American citizens or those with dual American citizenship. Experience real Cuba by living with a host family. The students come together every Thursday evening to discuss the plans for the weekend. One of the employees at the site will make sure the excursion wishes of the students are fulfilled! Make use of the opportunity to combine your language course with various activities / excursions, and explore the diversified landscape and the historic cities of the country, along with your fellow-students. The Minigroup course in Trinidad is designed to improve students' reading, writing, listening and speaking skills. The course consists of 4 hours of daily teaching in a minigroup (max. 3 participants), and is on offer all year round. The Minigroup course is available for 2 weeks or more and with a minimum of 2 participants. The price mentioned here is for an airport transfer upon arrival from the Trinidad Airport or Bus Terminal. In 2018 there are no lessons on: 01/01/2019, 02/01/2019, 19/04/2019, 01/05/2019, 25/07/2019, 10/10/2019, 25/12/2019, 31/12/2019. 4 hours daily in a minigroup (max. 3 participants), with additional 1 or 2 hours one-to-one tuition per day, all year. The combined minigroup course is only available for 2 weeks or more and with a minimum of 2 participants. 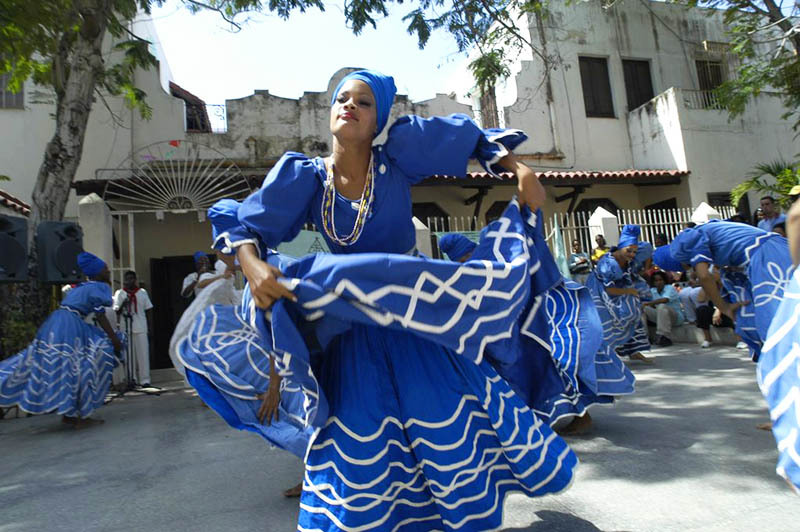 Discover Cuba through dancing with Cubans! This course combines a Spanish language course (minigroup, 20 lessons per week) with a one hour per day private dance course. The dances taught are salsa, mambo, rumba and son, depending on your interest and level. Usually you start with salsa, more advanced students can learn son dancing. This course is a combination of 20 Spanish lessons per week in a mingroup plus a one hour per day private music course. The instruments taught are percussion and guitar, depending on your interest. The one-to-one course consists of 4, 5 or 6 lessons a day, all year round (1 lesson = 50 minutes). We advise accommodation in host families. The selected host families live in spacious homes in the centre of the town. There are several nice bars in the neighbourhood. The families offer single and double rooms with half board (breakfast and dinner). Double rooms are only possible for two persons travelling together. Dinner is between 18.30 - 20.00. All rooms have air-conditioning or a fan and some have a private bathroom. Laundry is not included. The host family can take care of the laundry for a small charge.